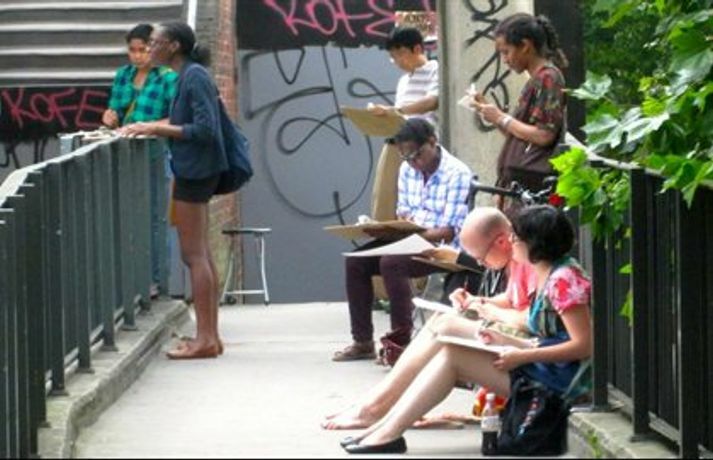 This practical drawing workshop explores narratives of place in architecture. Working with a sequence of original drawings and photographs from the RIBA collections, see how juxtapositions of traditional and modern materials and building methods define the spaces we live in today. Finish by drawing on-site in Bunhill Cemetery and the surrounding Old Street neighbourhood. All materials provided. Please note that Vanishing Points 1 and 2 explore related themes through different media, drawing and photography; participants are encouraged, but are not required, to register for both.